Motorcycles have become a trend in the past few years and they’re included in viral discussions online. News of the recently released Yamaha R1 2015 has entertained a stampede of fans. The automaker publicly unveiled the newest addition to the Yamaha family of motorcycles, the 2015 R1 model on November 3, 2014. It’s a redesign which has adopted the M1 MotoGP’s architecture. The 2015 R1 has received notable enhancements to make it lightweight, resilient and a violent little road-monster. 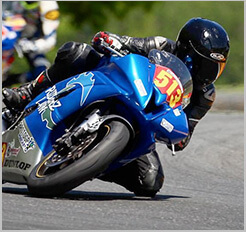 With a brand-new, cutting-edge electronics package added, it’s a superior build to that of the M1 MotoGP. The automaker announced that this modern design weighs 439-lbs, backed by a 200 horsepower engine. This brand-new model has a 1hp/lb power-to-weight ratio, which makes it the industry’s best-in-class motorcycle. The previous model was 15-lbs heavier and had an estimated 18 horsepower break in speed. It has been fitted with a brand-new, violent cross-plane engine. With dual-direction fuel injectors, a 10.5-liter air-box, compatible titanium-based fracture-split connecting rods and a durable exhaust system; the 2015 R1 is a beast-of-a-motorcycle. The 2015 R1 motorcycle has a main ram-air intake system. Yamaha highlighted that it included a cutting-edge banking-sensitive traction-control system with ABS. This added to the motorcycle’s security and safety feature. It also has a quick-shifter, power modes and launch/lift control. The subframe of the 2015 Yamaha R1 boasts a magnesium construction, which complements its cast-magnesium wheels and aluminum tank. It has a modified chassis, which has a stunted wheel-base and a top-heavy, aluminum-based Delta box construction, designed for compact dimensions. It sports a brand-new TFT motorcycle dashboard which complements its advanced features. 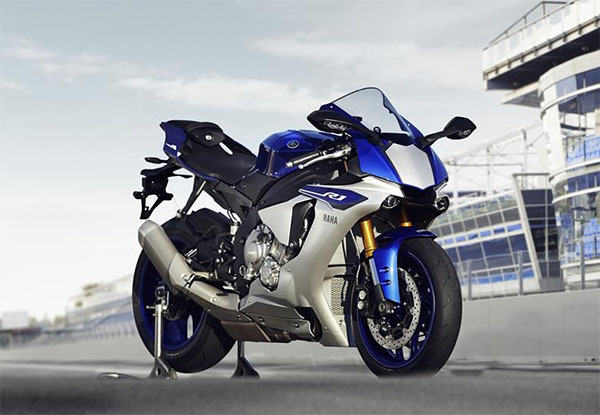 The 2015 R1 starting price is $16,490 when it gets released in February. The modern touches, including twin LED headlamps to its front panel are favorable enhancements. It has a sporty, track-focused appeal.